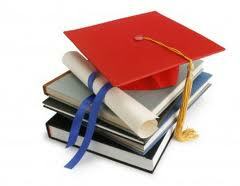 Education in Himachal Pradesh, Himachal Pradesh Higher Secondary Education, Himachal Pradesh Education. There was a time when the state of Himachal Pradesh has been under the direct control of British rule. This was the period when the British colonial rule took place in India in 19th century. Even if the people of India have a negative view about British rule, the positive point at that time with regards to education. Due to such a ruling effect in Himachal Pradesh, education in Himachal Pradesh was effective. People of Himachal Pradesh have gained higher standard of education due to British rule. Our will be really amazed to have a note of the fact that, the state has well known and reputed educational institutions, both for the primary as well as higher studies. Due to this, the education in Himachal Pradesh is really very sound till today. Some of the pioneer institutes of the state are National institute of technology,Indian institute of technology,Himachal Pradesh etc. The government of Himachal Pradesh have retained the quality of education for the particular state even today. A fund amounting to 4.5 crore was allotted to the Himachal Pradesh University for its various projects and research. A drawback of many state is the fact, in order to make their higher education sound, the state forget to make considerable effort with the primary education. But education in Himachal Pradesh has a broad spectrum. The government of this state have made a balance of providing quality education to small children so that they can grow up in future and make a considerable effort for higher education. Today education in Himachal Pradesh with regards to primary education has touched to the brim. Himachal Pradesh is such state where the students from class ten are asked to choose a suitable stream according to their wish. They can either choose their career in the field of medical science or that of hotel management; government will provide them with all the scopes. Thus the education in Himachal Pradesh is always in its toes to make advancement.